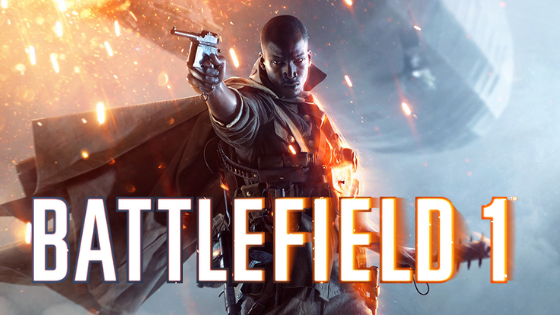 Battlefield 1 is still one of the most popular shooting games, and as is the tradition of the DICE studio, the game contains a wealth of secrets and Easter eggs, from unusual appearances to very powerful weapons you can find there. 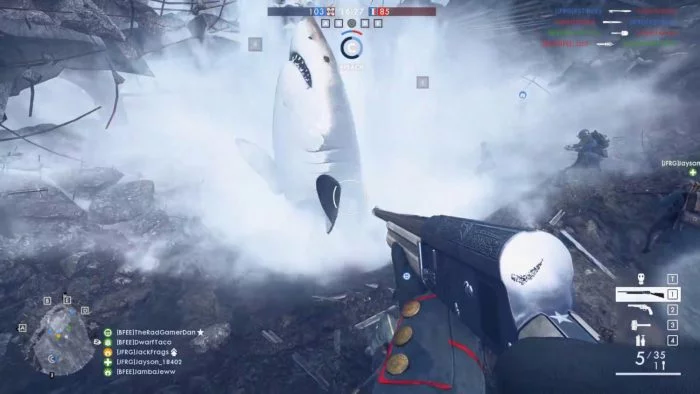 Battlefield 1 has a series of easter eggs, but two of them are the most hidden: what activates the megalodon, and what gives the player the secret revolver Peacekeeper. With you and two other members of your team, activate the three valves at the same time. 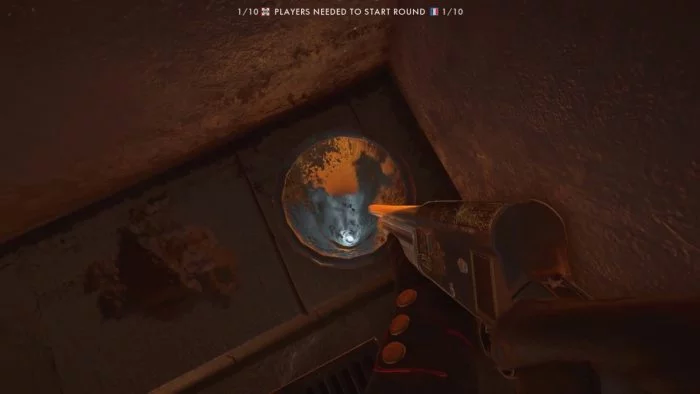 Stay in the puddle, or walk inside it and wait. If all the steps have been done correctly, the megalodon will arise to attack whoever is marking silliness in the pool of blood. Peacekeeper is one of the names for the Colt Single Action Army, considered by some the best revolver ever made. 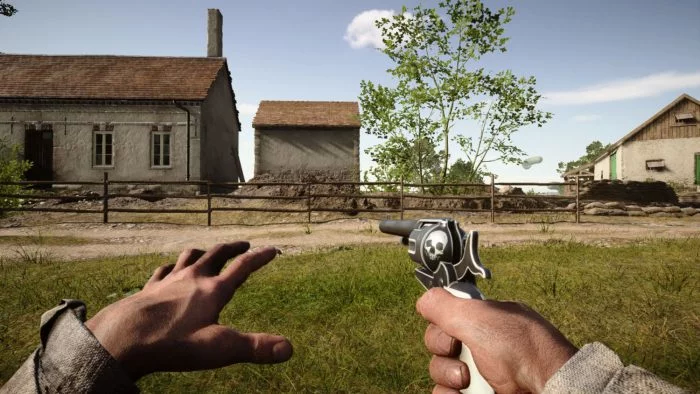 In the game, it has several unique animations, and the greatest damage among the weapons of its category. However, getting it is not simple at all. 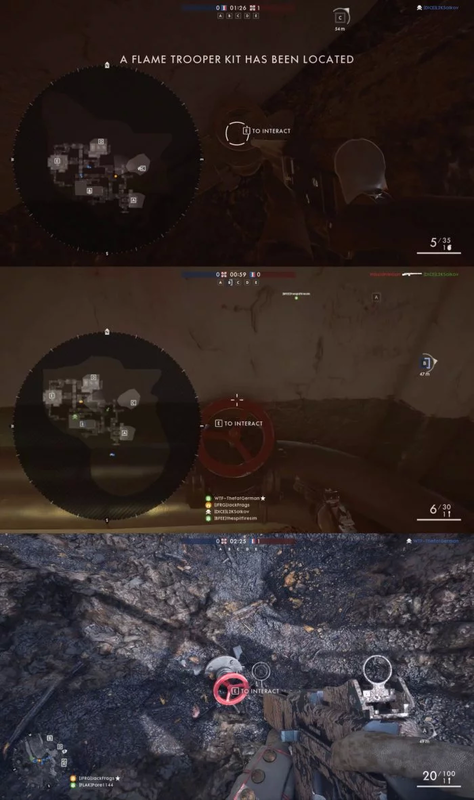 You will need to solve six puzzles ( A Beginning, A Conflict, An Escalation, An Omen, Angel Sighting and Belly of the Beast ), which will give you three front dog tags, two dog tags back, and a M1917 MG gun skin. To continue to the last challenge, you must equip one of the front tags, one of the back tags, and the weapon with the skin. But anyway, it is mandatory to solve all the other six puzzles . From here, be quick, or the gas will kill you (the mask is useless in this part). If you do everything right, in the last corridor you will find the Peacekeeper. Hint: To avoid dying every fall in a trapdoor, when you reach the end of each new corridor, wait for the energy to regenerate before activating it, as long as the gas is not too close. As I said, be quick.